We start 2016 with some sad news and some glad news! The sad news is that our singer Maggie Reeday has left the band. It was simply a matter of logistics - travelling home through the night to Exeter after a gig is not recommended and especially if you are a lady travelling alone. Maggie isn't gone for good, she might make the odd appearance for us on future dates. The glad news is we have a new singer! May we introduce you to Rachael Pennell! 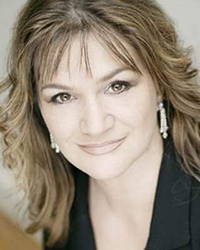 Rachael has a dual career as she is also a very accomplished actress with many worthy credits to her name. She is perhaps best known in jazz circles for her association with the band run by legendary pianist Stan Greig during the 1990's. This led to many opportunities for Rachael, including her own debut album with Stan, Richie Bryant, Pete Skivington, Ian Bateman, Bruce Adams and Alan Barnes. It is still available on Lake Records. As for the band? Well, our beloved Dad passed away in 2014 and Alan and myself had to take some time out to deal with things. But, we're still going strong and the work is starting to flow in again. The band is doing more private corporate work (which of course doesn't get advertisied on this site). Due to the versatility of the band members, this has made it a great asset to the band as we can easily adapt to different scenarios. 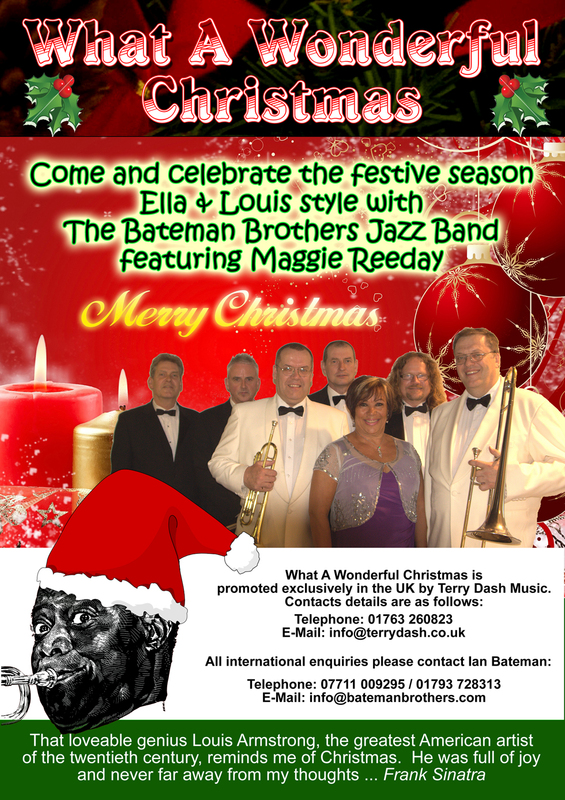 Our 'Ultimate Louis Armstrong Show" and our new "What A Wonderful Christmas" show continues to be popular and we shall be concentrating on filling up December with this new show. A recent addition to the schedule is a return visit the Theatre By The Lake, Keswick, Cumbria. It's not until 11th May 2017 but we are very much looking forward to it. Our last concert there was completely sold out. Most of our theatre shows do sell very well, but to be re-booked in this 'jazz town' is particularly pleasing. Away from The Bateman Brothers, but still in the Louis Armstrong vein, keep a lookout for some concerts that Ian is planning with a string orchestra. Apart from a Billie Holiday tribute with strings, Ian is also recreating one of Louis' legendary albums - "Louis And The Angels", live on stage, using the original scores by Cy Oliver and his Orchestra. 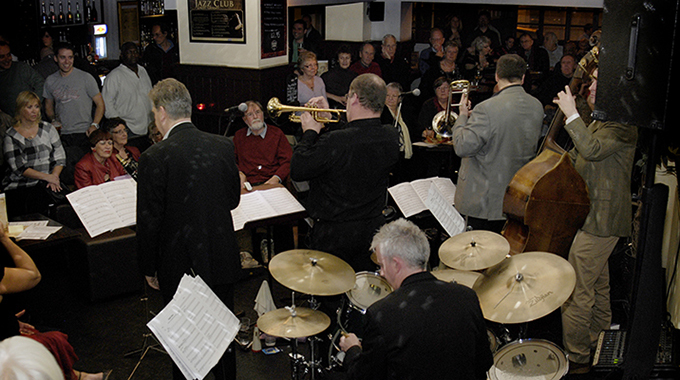 This will feature Enrico Tomasso in the lead role and there are also plans to integrate it into a bigger show The Bateman Brothers Jazz Band giving it more authentic jazz content.